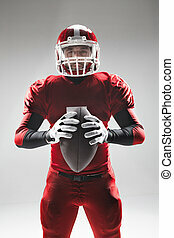 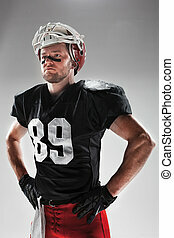 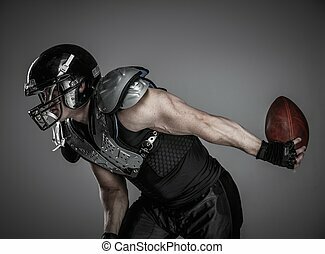 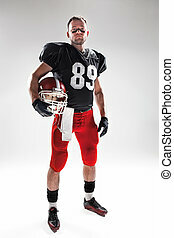 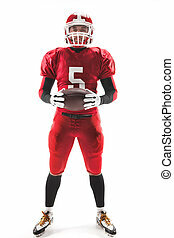 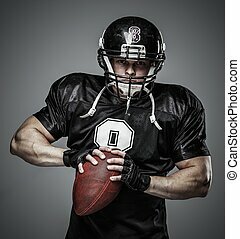 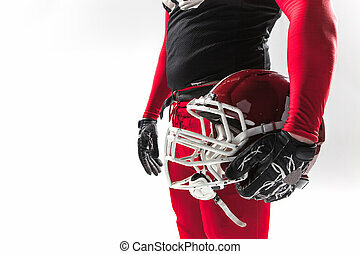 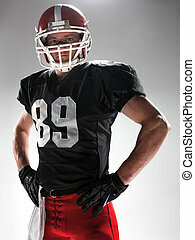 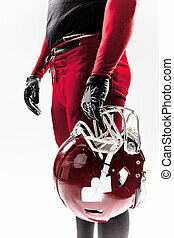 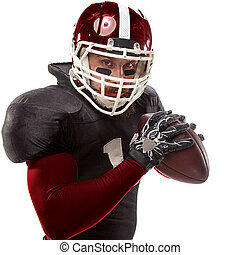 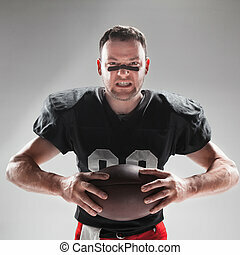 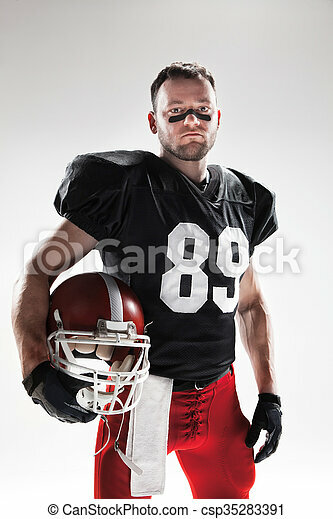 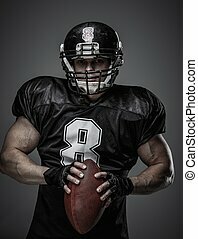 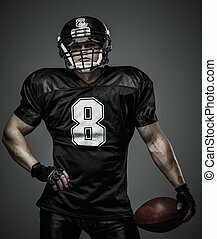 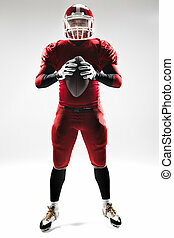 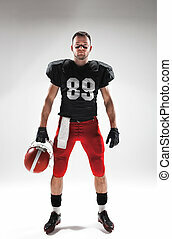 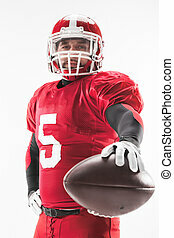 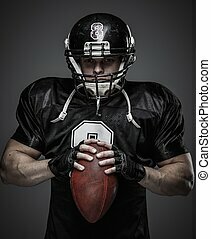 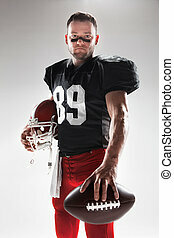 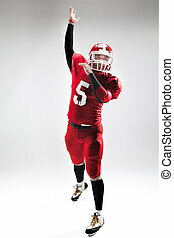 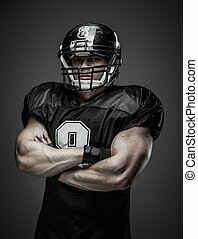 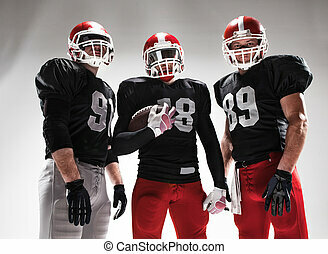 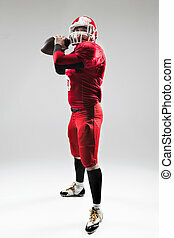 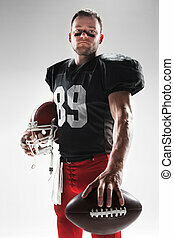 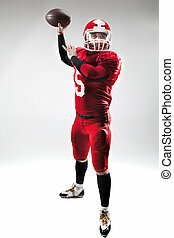 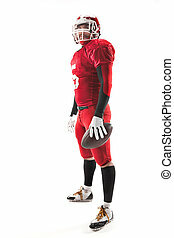 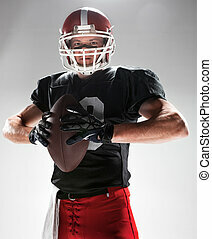 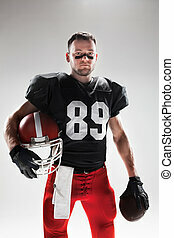 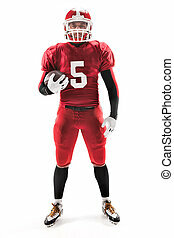 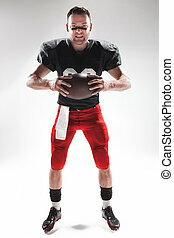 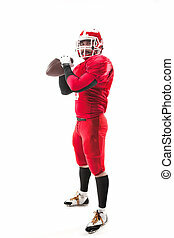 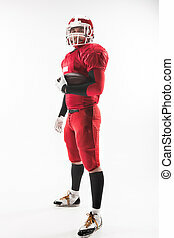 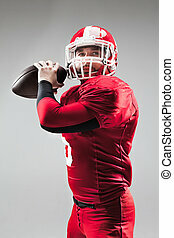 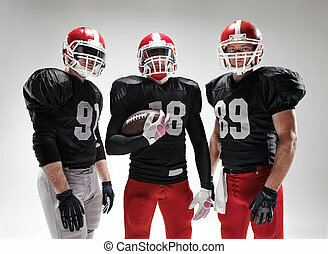 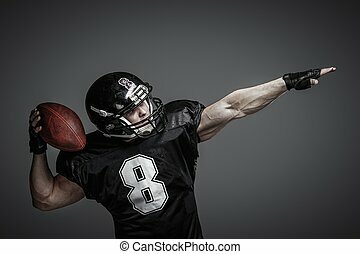 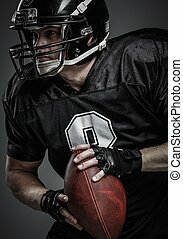 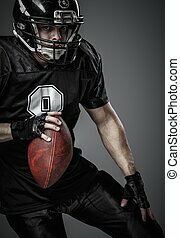 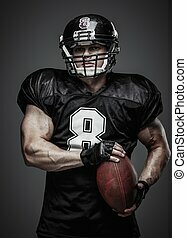 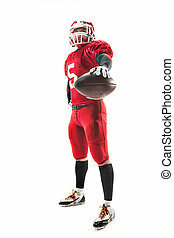 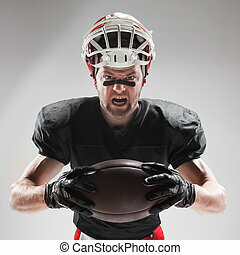 American football player posing with ball on white background. 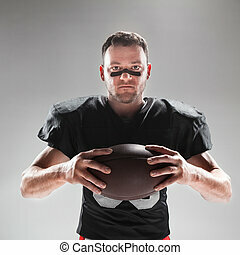 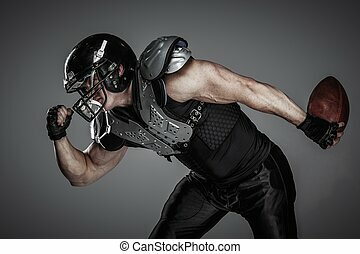 Caucasian fitness man as american football player holding a ball on white background. 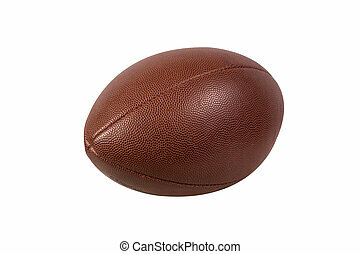 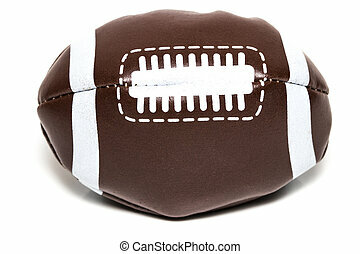 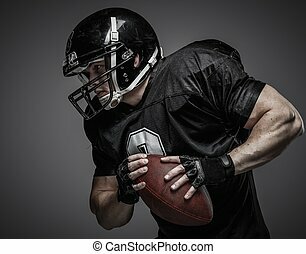 american football ball isolated on white background.